Simple, single trigger tool tightens cable ties to a tension that the user presets with the tensioning wheel in the grip. Provides consistent tightening and automatic cut-off when the preset tension is reached. Easy, one-handed operation and low profile design for installations in tight or hard to reach areas. Steel construction for years of use. 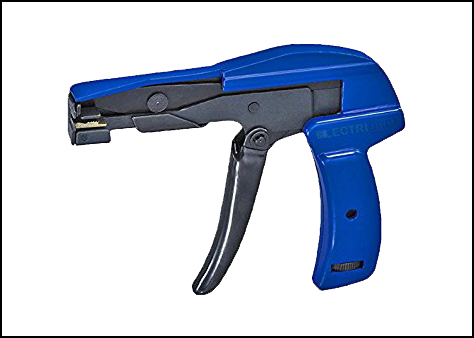 For plastic cable ties up to 50 lb., this tool is perfect for your construction or contracting work.